Order & Family: Floating unicells or a colony embedded in a matrix; no differentiation of apical and base structures; only one family. 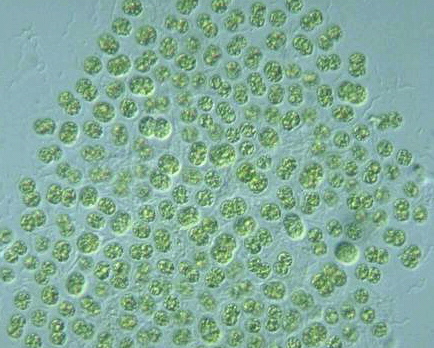 Genus: A colony of spherical cells; each cell is not covered with a sheath, instead cells are scattered within a gelatinous matrix; the distance between cells is usually shorter than their diameter (Illustrations of The Japanese Fresh-water Algae, 1977). Cell body larger than 3 μm in diam.